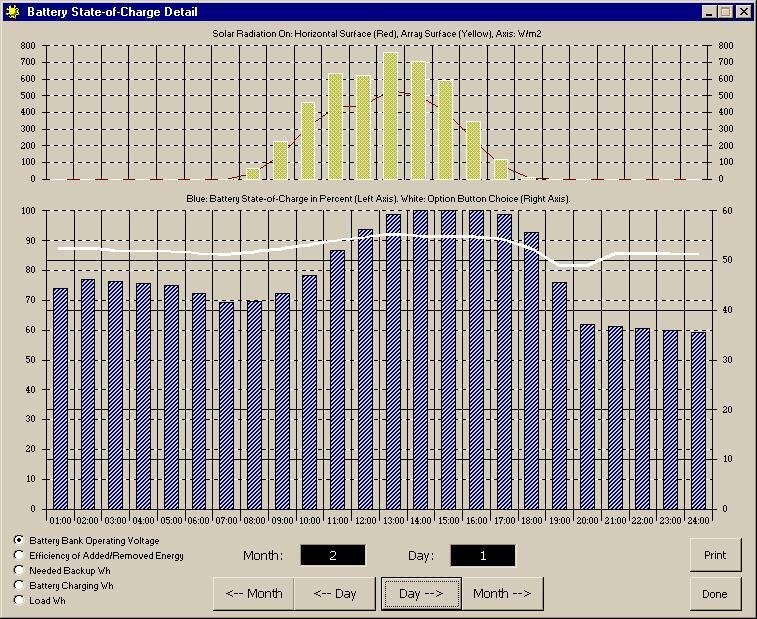 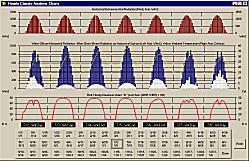 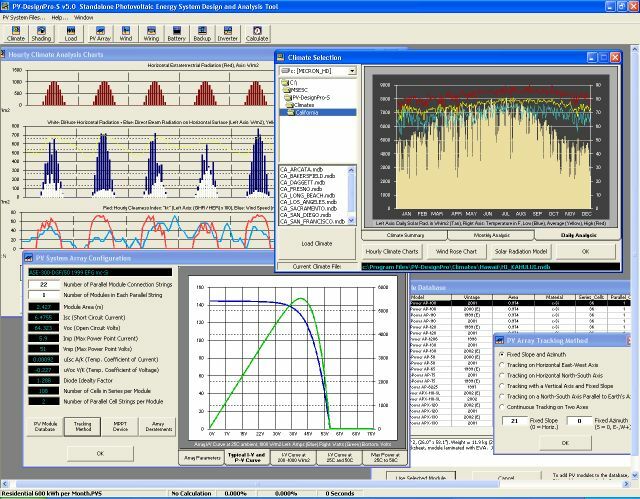 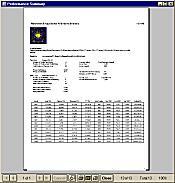 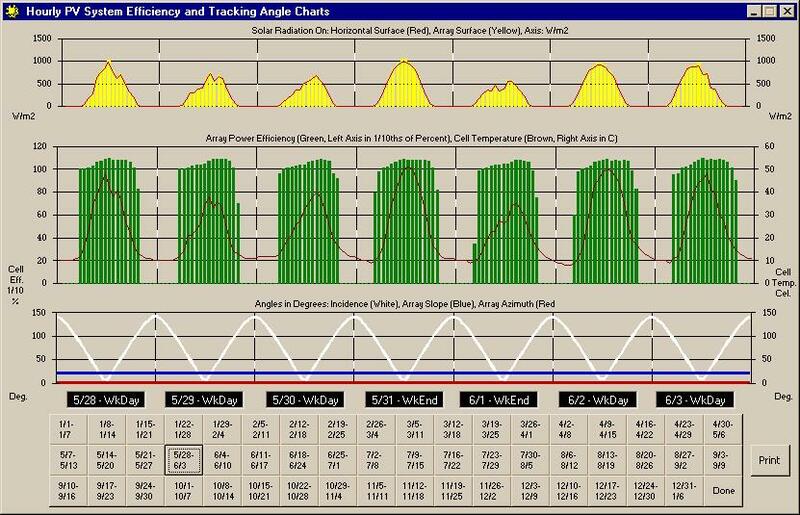 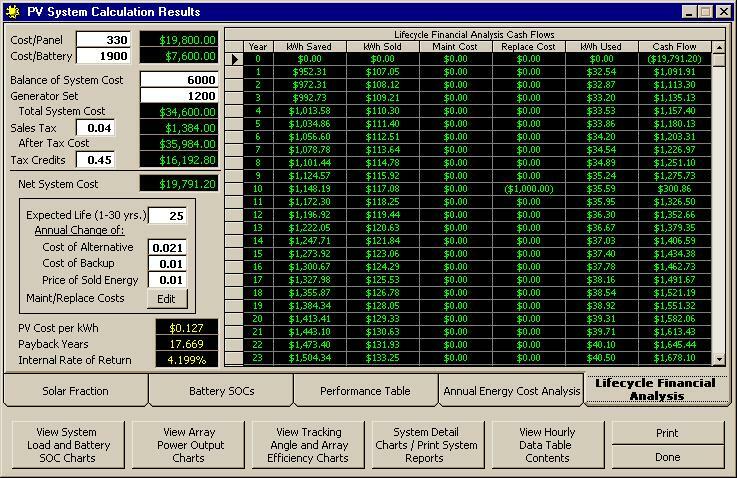 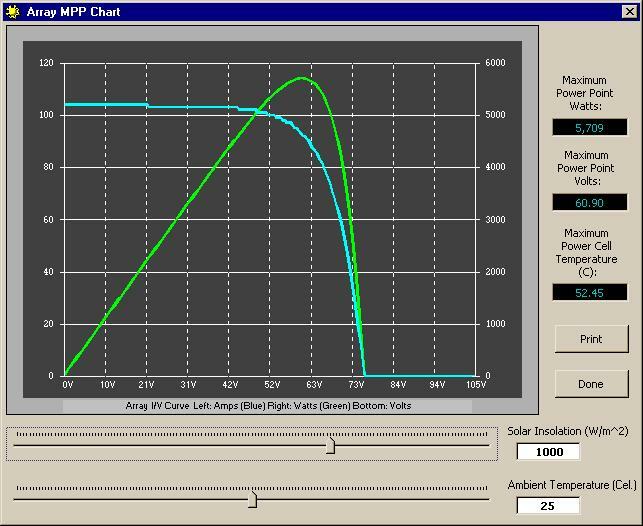 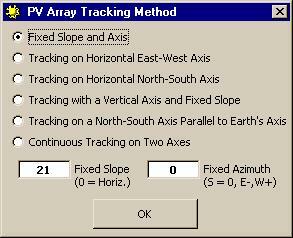 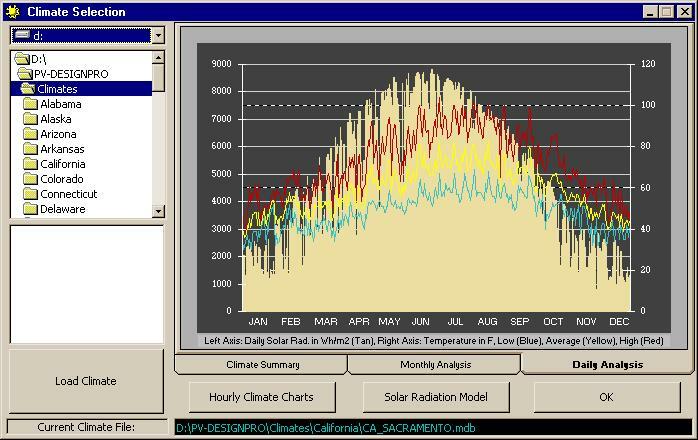 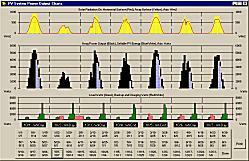 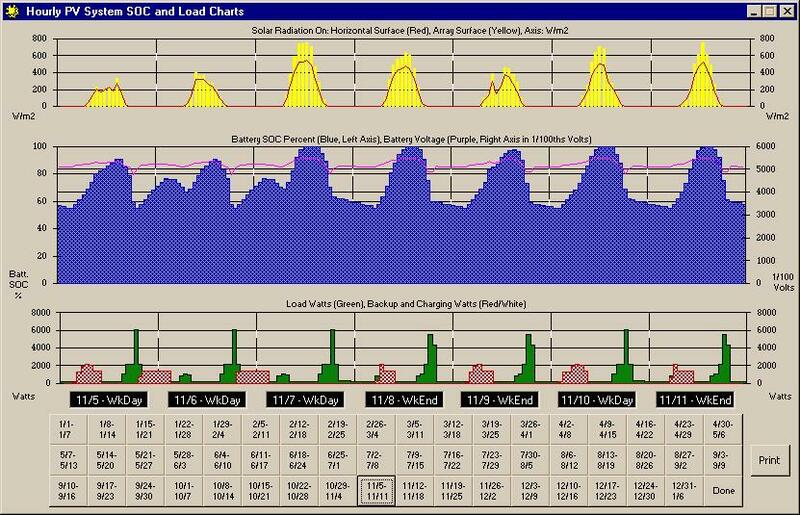 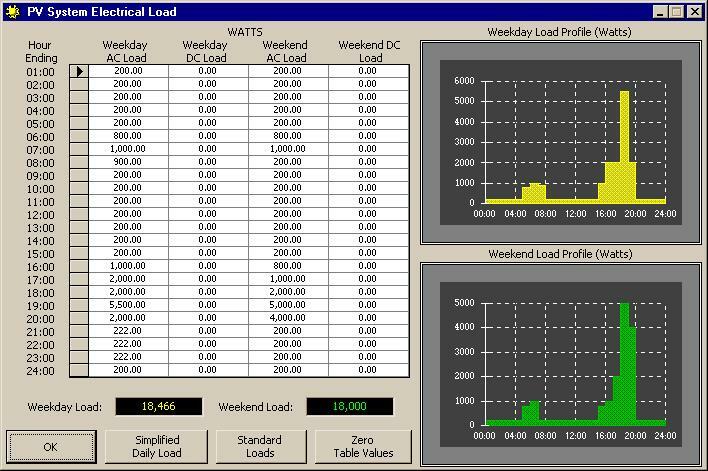 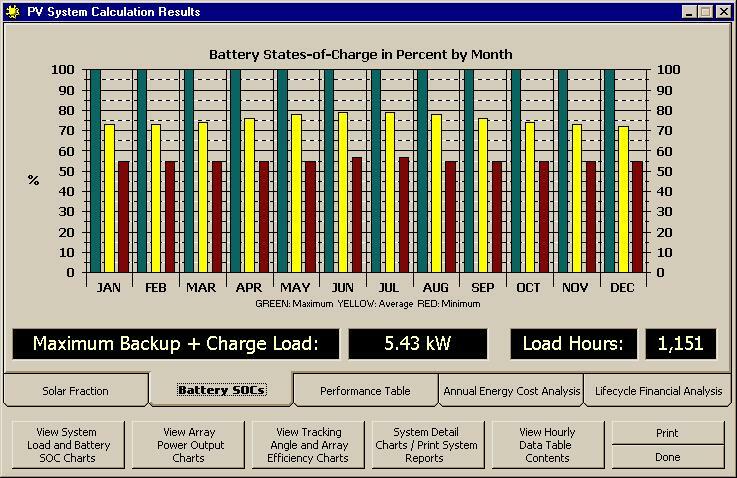 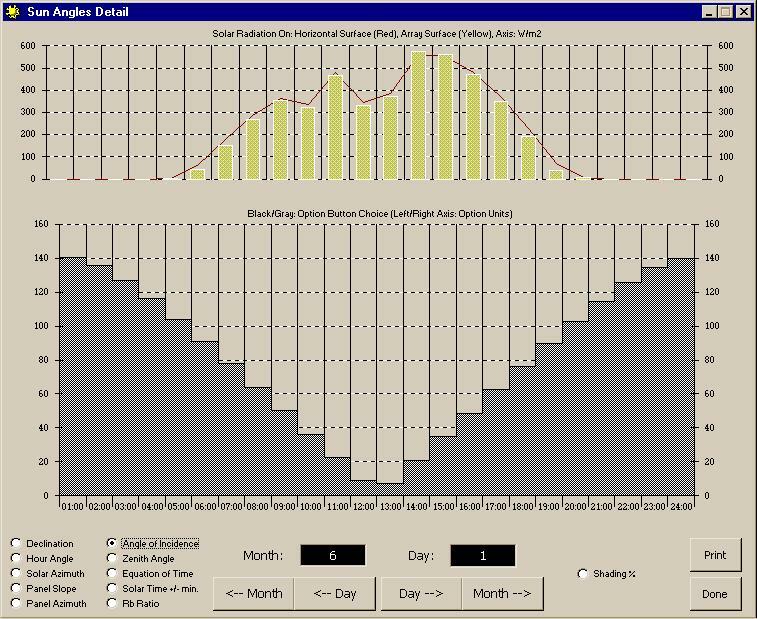 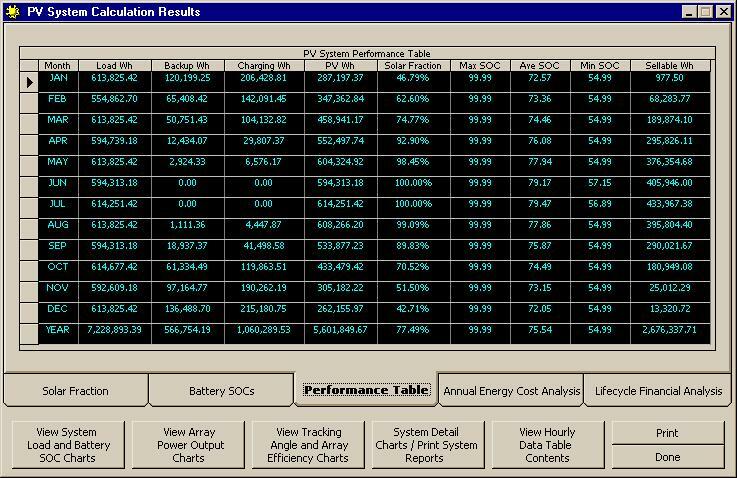 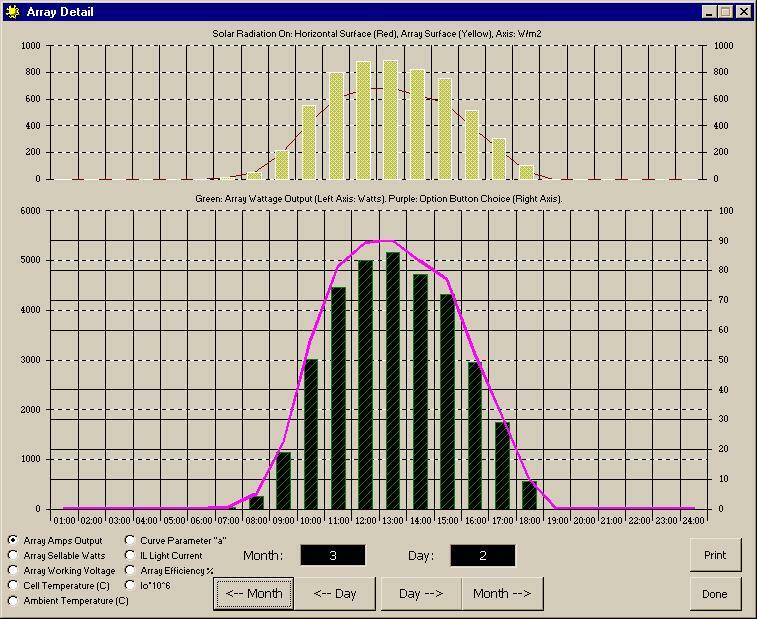 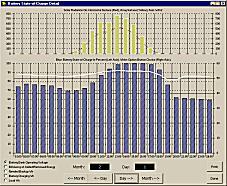 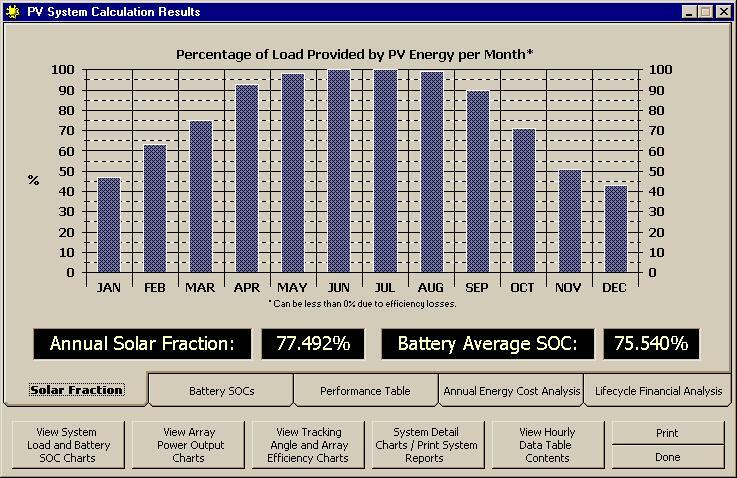 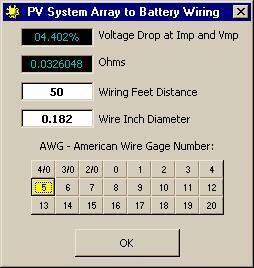 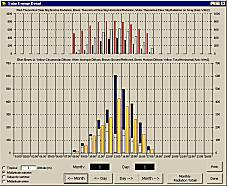 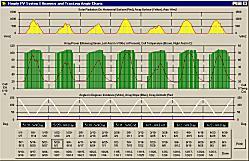 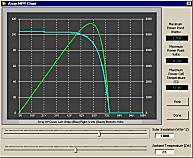 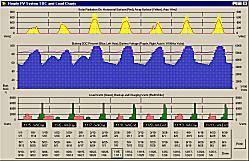 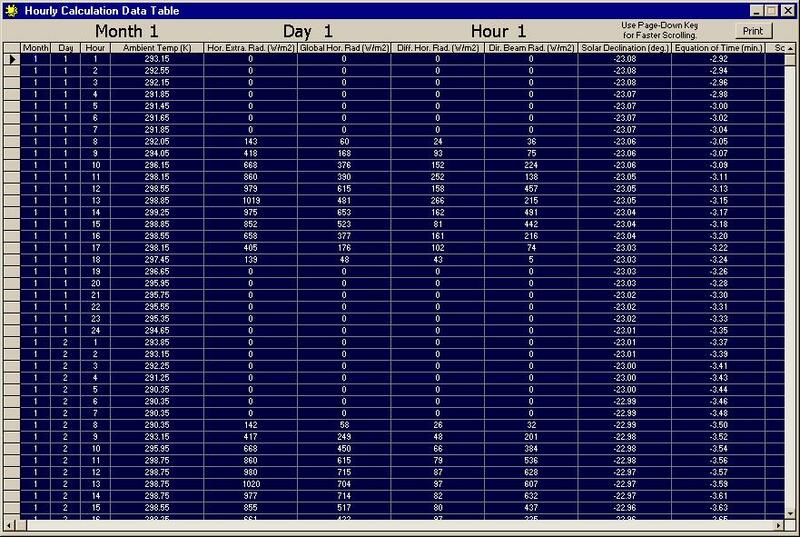 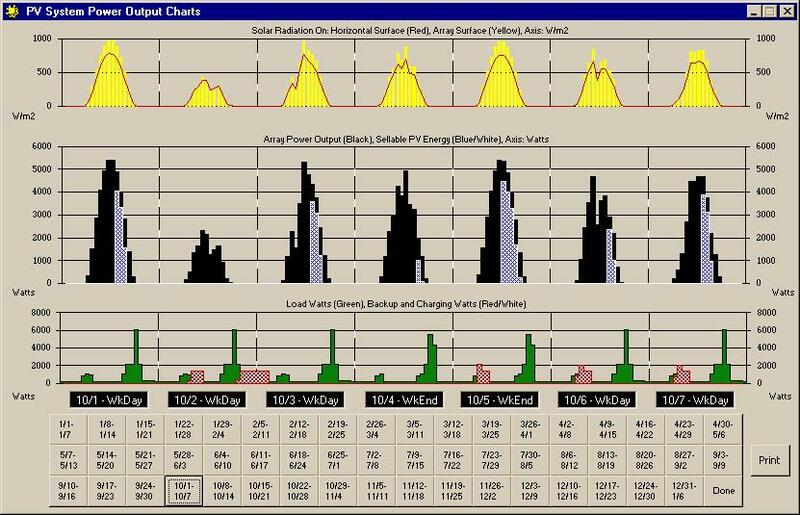 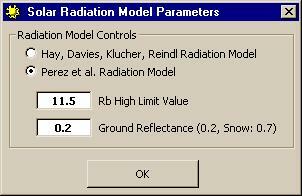 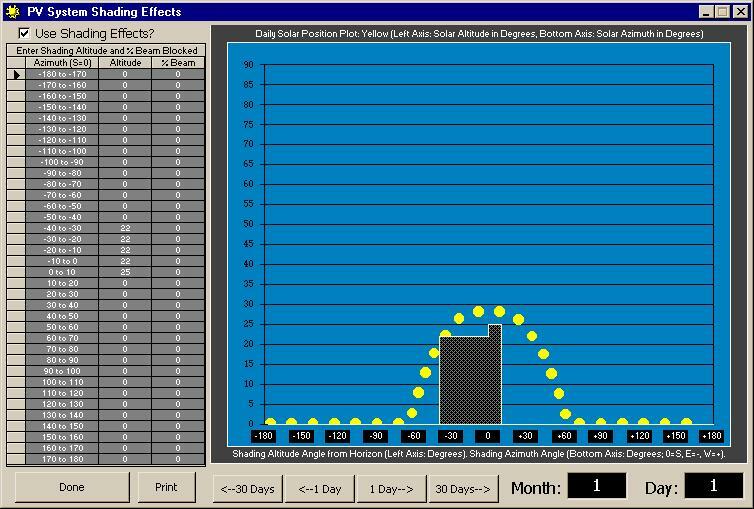 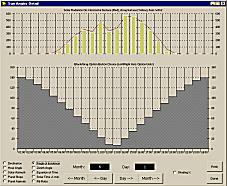 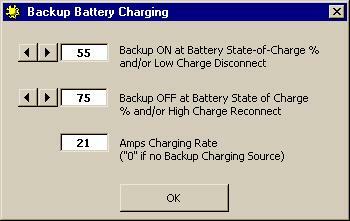 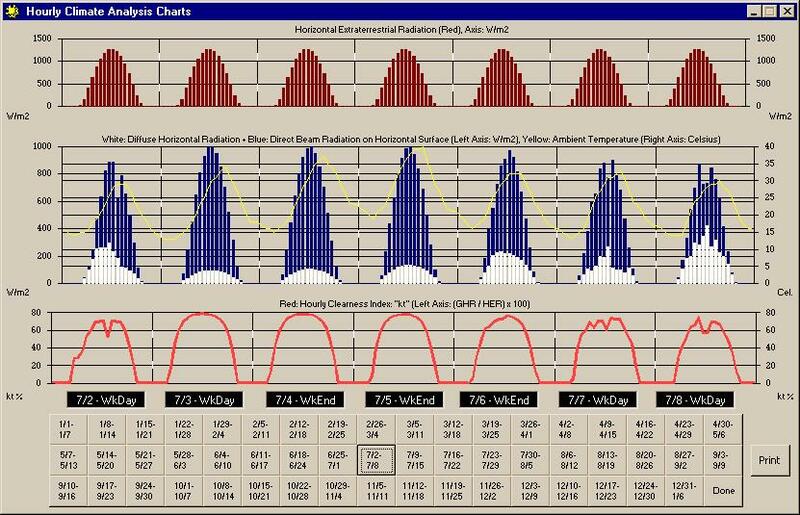 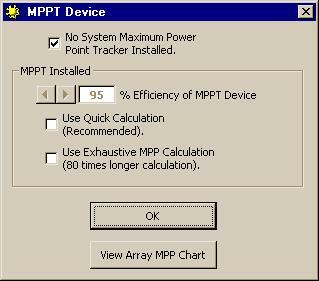 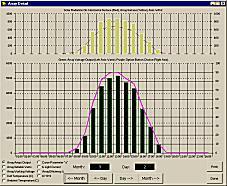 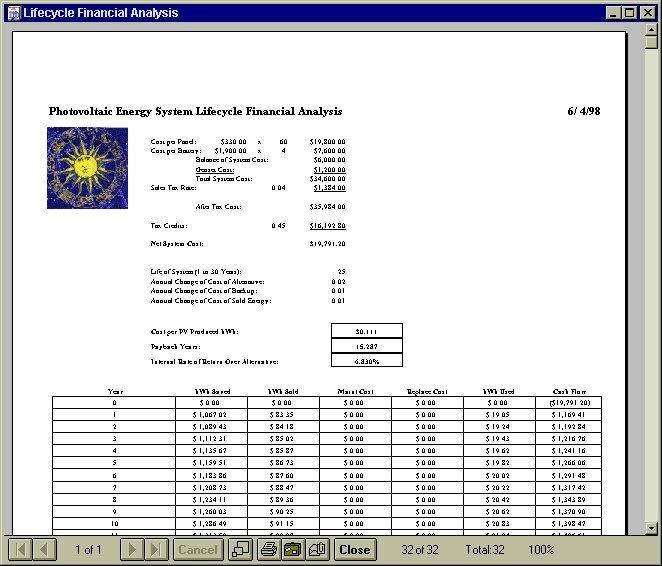 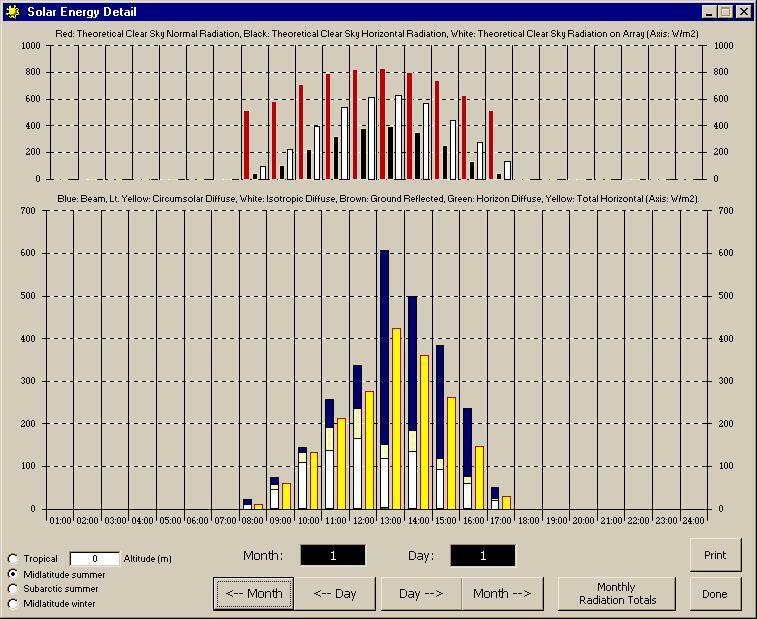 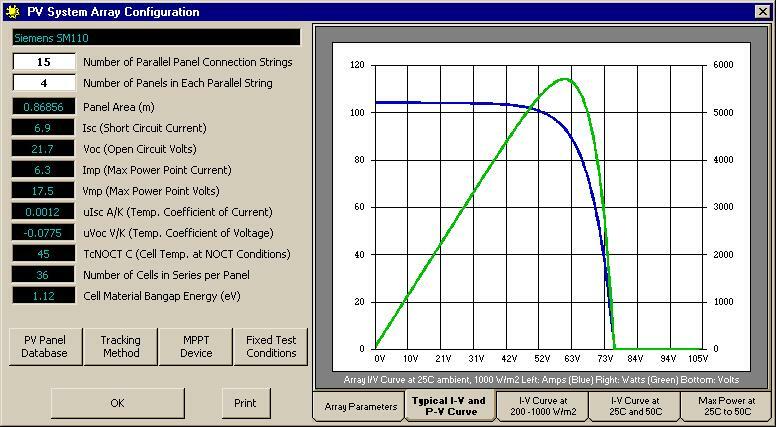 PV-DesignPro is a suite of Windows 95, 98, and NT software designed to simulate photovoltaic energy system operation on an hourly basis for one year, based on a user selected climate and system design. 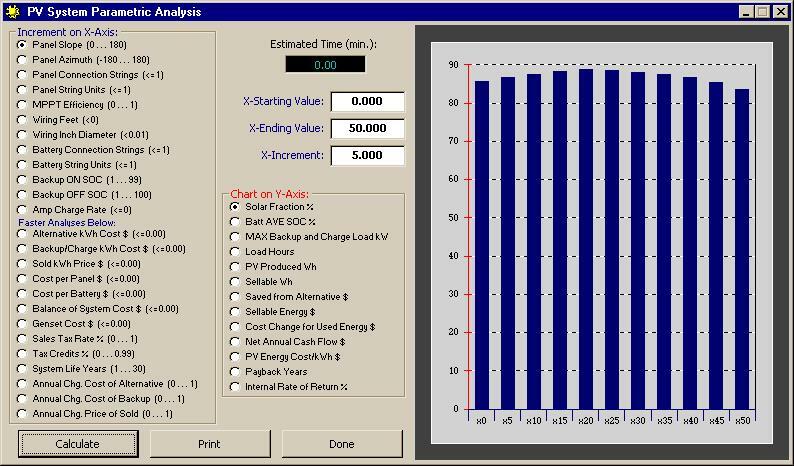 Three versions of the PV-DesignPro program are included on the CD-ROM: "PV-DesignPro-S" for standalone systems with battery storage, "PV-DesignPro-G" for grid-connected systems with no battery storage, and "PV-DesignPro-P" for water pumping systems. 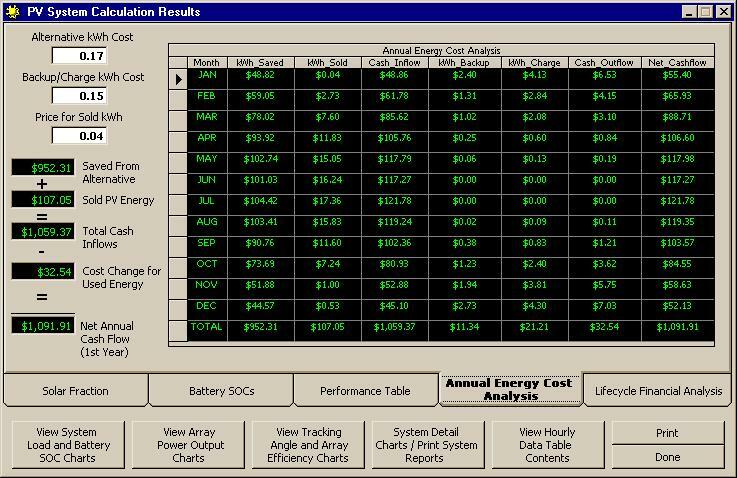 Below is a screen-shot of the "S" version.